Protec’s Xtra Large Tenor Saxophone Contoured PRO PAC Case is specially designed to accommodate vintage horns, horns with larger bells (fitting bell sizes up to 7"), or horns with keys on the opposing side of the bell. Each PRO PAC features a shaped wood shell frame which is lightweight and durable, tough weather resistant ballistic nylon exterior, high quality metal hardware, long-lasting custom zippers, and removable padded shoulder strap and I.D. tag. 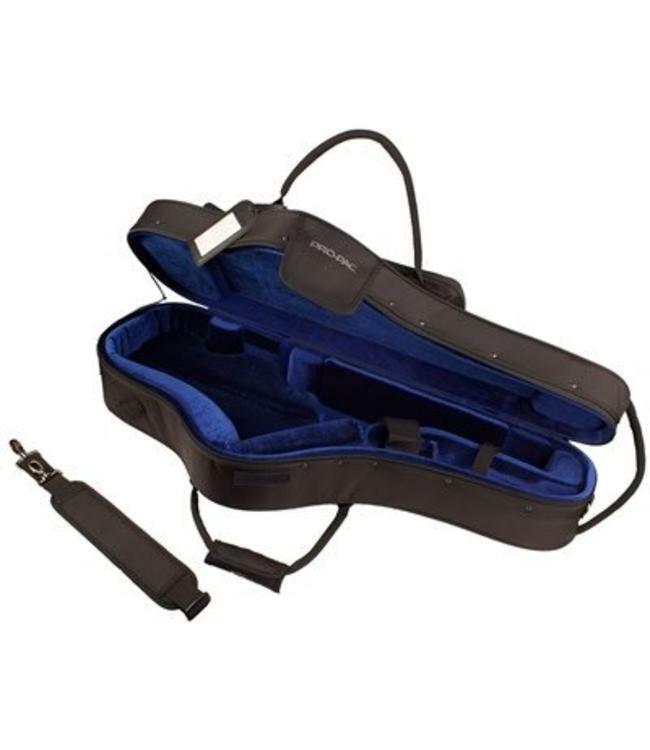 The molded interior features a soft velvet lining and has built-in compartments for neck and mouthpiece.